When I saw the two photohunter words I knew what technical work I would focus on. 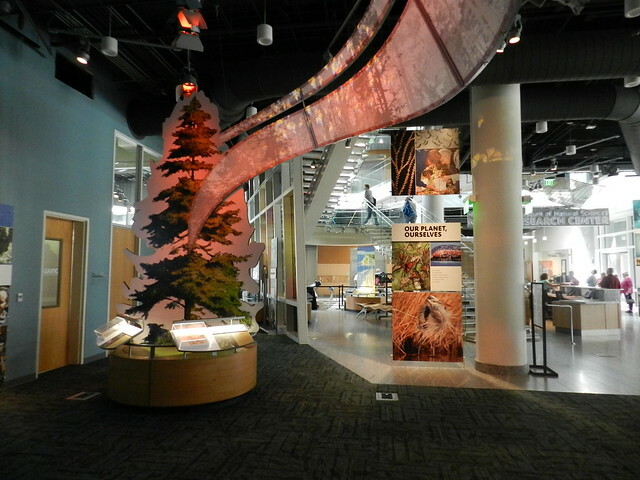 Patterned by Nature is an exhibit in the Nature Research Center (part of the NC Museum of Natural Sciences). The exhibit celebrates our abstraction of nature’s infinite complexity into patterns through the scientific process, and through our perceptions. It brings to light the similarity of patterns in our universe, across all scales of space and time. 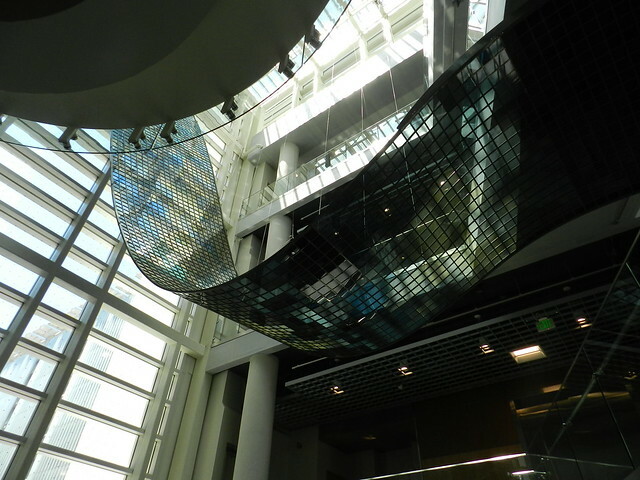 10 feet wide and 90 feet in length, this sculptural ribbon winds through the five story atrium of the museum and is made of 3600 tiles of LCD glass. It runs on roughly 75 watts, less power than a laptop computer. 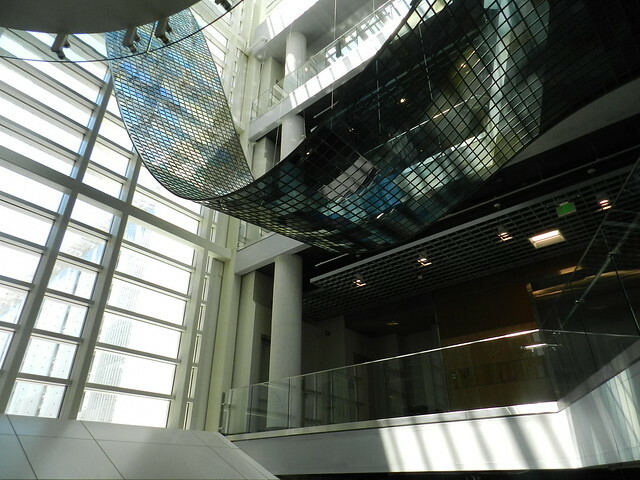 Animations are created by independently varying the transparency of each piece of glass. The content cycles through twenty programs, ranging from clouds to rain drops to colonies of bacteria to flocking birds to geese to cuttlefish skin to pulsating black holes. The animations were created through a combination of algorithmic software modeling of natural phenomena and composting of actual footage. 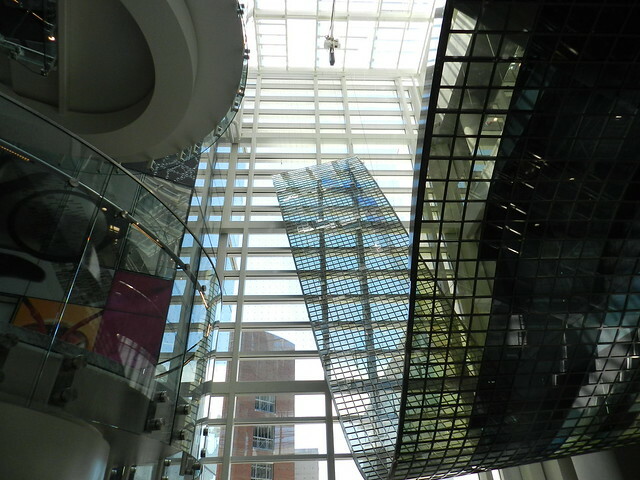 An eight channel soundtrack accompanies the animations on the ribbon, giving visitors clues to the identity of the pixelated movements. In addition, two screens show high resolution imagery and text revealing the content on the ribbon at any moment. 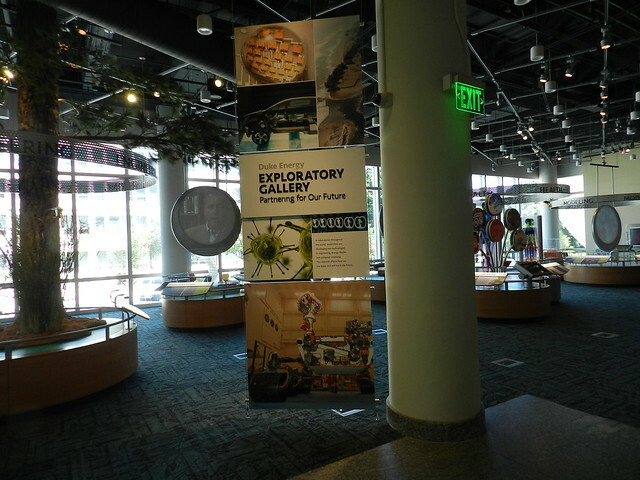 The italic portions are taken directly from the NC Museum of Natural Sciences web site. The first three shots are of the work described but I also used some other shots at the end from the Nature Research Center that also focus on technical areas. Click for the Focus Photohunters and/or click for the Technical Photohunters. oh my goodness this post is simply perfect for the combined themes. what an interesting museum. Wonderful black and white shot. Gotta say -- this is one of those museums that I'd go to with my husband and he would absolutely revel in and love it and I would ask him for an explanation of everything (preferably the executive summary). I don't do well with tech stuff. Impressive, to say the least!! great take on the themes, Carver!! What cool angles you taken. Stunning exhibit! I'd love to see it in person. Nice way to combine the themes. Wow ! very nice technical pictures and focused well ! I couldn't put the linky thing it didn't work I am still in Tunisia and go home tomorrow ! 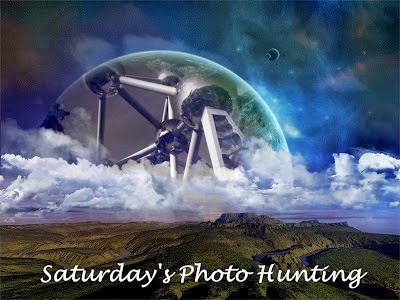 Great shots for this week's theme. Hope that you had a great weekend.